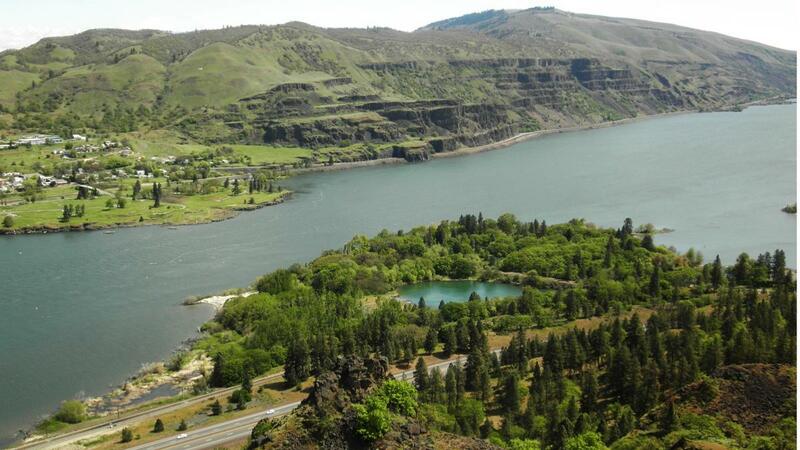 The Columbia River at Rowena Crest Viewpoint, Oregon, erodes into lava flows forming part of the Columbia River Flood Basalt Province, which covered more than 150,000 km2 of the NW United States about 16 million years ago. Photo: Arizona State University. Earth’s most dangerous volcanoes erupt at 1 to 10 million year intervals, while modern humans evolved only 250,000 years ago: probably, no anatomically modern human has ever experienced a truly large eruption. 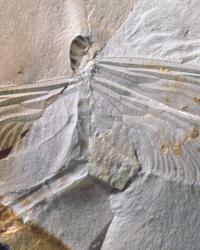 On Earth, atmosphere, rain, and plate tectonics conspire to modify, disguise and remove the evidence of past eruptions. But no other body in the Solar System exhibits plate tectonics, and many bodies lack atmospheres, so by studying volcanoes preserved on other planets we have learned much about the physics of how volcanism works. I focus here on our atmosphereless Moon, because it is the closest and best studied of these bodies, with an ancient but very well-preserved surface. The giant craters on the Moon – ‘impact basins’ – contain large-volume lava flows erupted from magma-filled fractures deep below the surface. Elsewhere, shattered rocks beneath smaller craters favoured shallower ponding of magma. Magma storage allowed gases to build up and cause explosive eruptions. The violence of these eruptions, reflected in the range to which volcanic fragments were ejected, depends on the duration and depth of magma storage. For the Moon, excellent image data exist for deposits of this kind, and I shall use these to constrain the range of depths and sizes of magma reservoirs. 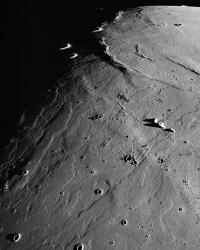 Other locations on the Moon experienced longer-lasting, less explosive eruptions forming either compound flow fields (many small, interconnecting lava flows) or sinuous rilles (channels where very hot lava eroded the underlying surface). Imaging and topographic data from current and recent spacecraft missions allow accurate measurements of the lengths, widths, thicknesses, depths, substrate slopes, etc., of these deposits. Using these data, and the dedicated software needed to analyse them (courtesy of Brown University and the University of Hawai’i), I shall examine the physics of the emplacement of these features. The above studies are directly relevant to understanding the very largest-scale volcanic events on Earth: flood-basalt eruptions – as occurred in the Pacific North West of the USA, some 16 million years ago. Such eruptions occur at 10–20 million year intervals, fed from magma reservoirs in the lower crust, but are potentially disastrous events due to the gases and aerosols released into the atmosphere. Despite much petrological and geochemical data on deposits from these eruptions, the physics controlling them is still poorly understood, and controversy exists about their duration, discharge rate and explosivity. I shall apply ideas developed by studying the Moon to revisit, and hopefully clarify, these issues.